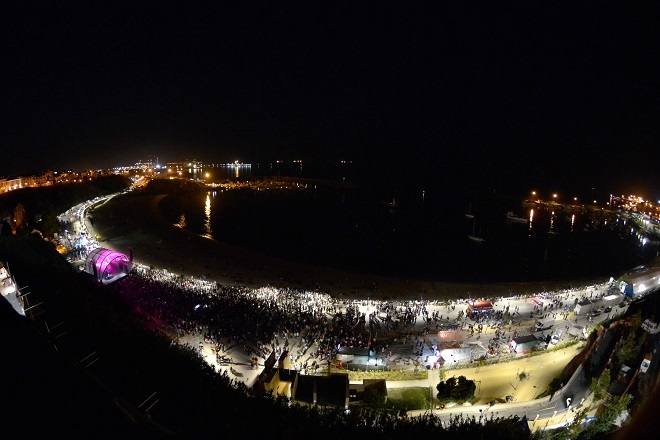 Music, sun and sea, partying every night and 850 km of beaches: it is one of the best combinations in music festivals in Portugal. But there are other programs where the calm richness of sound blends perfectly with historical heritage or rural environments. 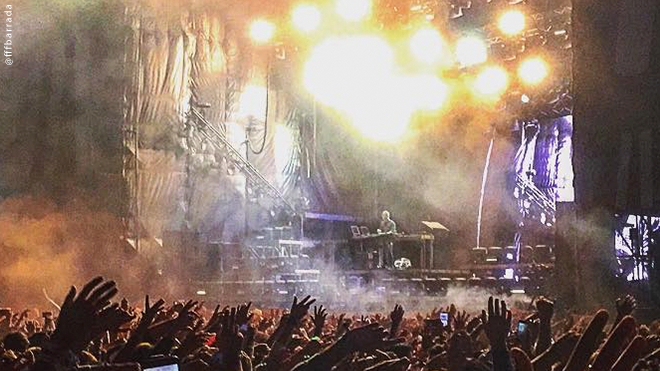 In addition to good music, festivals afford an opportunity to get to know these sites in an atmosphere of total relaxation and fun. Lisbon and Porto have been recognised year after year as perfect mini-break destinations and have very lively nights that are the natural continuation of the party atmosphere. 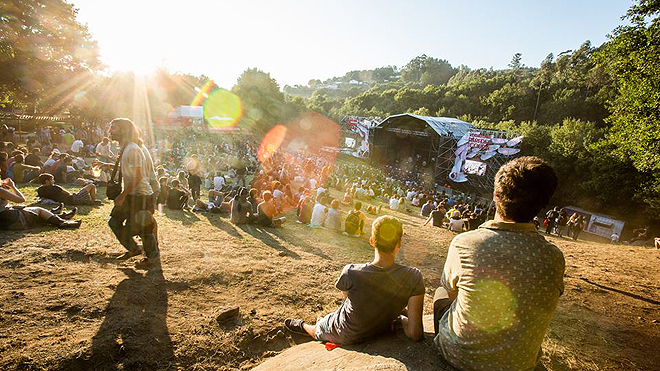 In these two cities, the spotlight falls on NOS Alive and Super Bock, Super Rock, in Lisbon, and NOS Primavera Sound in Porto. In Porto and the North region, Vodafone Paredes de Coura on the river beach at Taboão is a good example of a heavenly setting in the midst of nature. Bike rides, trekking, canoeing and river bathing are just a few of the suggestions that can perfectly complement a few truly well-spent days. Nature, too, as well as art and freedom are celebrated in even-numbered years at the Boom Festival which takes place on the banks of the lake in Idanha-a-Nova, in the Centro de Portugal. Further south, close to Tomar, the Festival Bons Sons shows how a village can get itself organised to stage an event that offers the best of music and Portuguese traditions. In Funchal, the NOS Summer Opening unites music with nature to provide experiences the enable you to discover Madeira with plenty of adrenaline. In the Algarve, the Festival Med in Loulé and the Festival F in Faro transform the historic centres of the cities into stages for various artistic events. 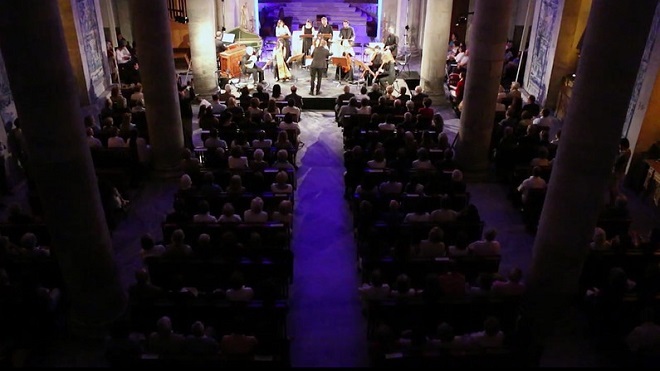 Those who go for classical or jazz sounds can opt for the Festival Terras sem sombra (in English, ‘lands without shade’) in Alentejo, where classical music concerts invade churches and convents and are beefed up with programmes that showcase local activities and traditions. For jazz, go for Angrajazz which takes place every year in October on Terceira Island, in the Azores. From shows featuring big names to important events in the international calendar there will always be a programme somewhere in the country that will suit you. Don't fail to check portuguesemusicfestivals.com or the agenda to see who's going to be here and then ... just follow the melody!